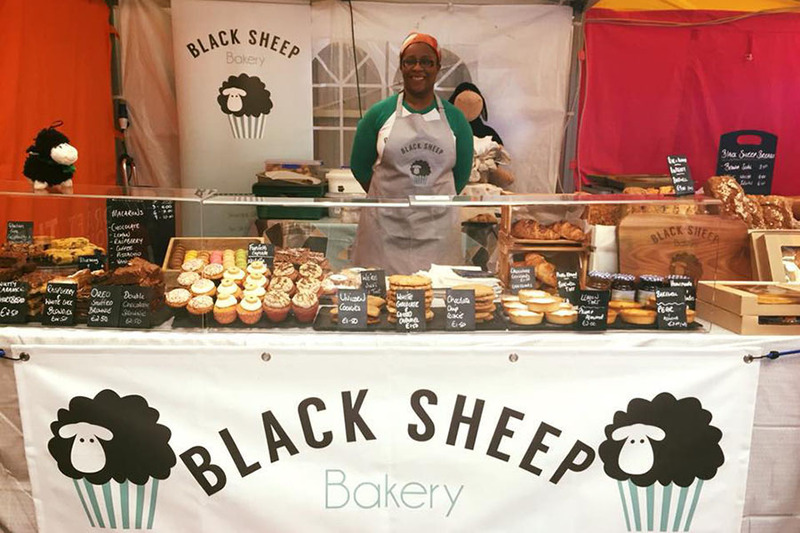 Here's a little bit about us & where we bake & what we do! You can find us every Sunday at the Strandhill People's Market, 11am-4pm or alternatively use the contact form above if you need to order something special for any occasion! All our baking is home-made using the best ingredients & every Sunday we'll generally have our breads, brownies, tarts, macarons, cupcakes, and baked on site fresh cookies! 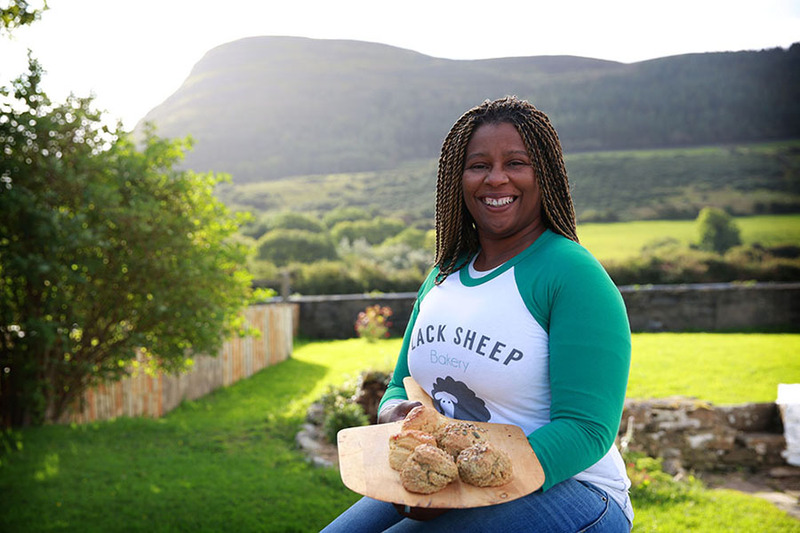 Our bakery in the market is located in the shadows of Knocknarea which you can see for miles around Sligo & even on some clear days if you fly into Knock airport! Not far from the market which is located at the airport in Strandhill, is the village itself with the famous cannon! A must stop for any selfie! And the sunsets here in the summer are legendary! 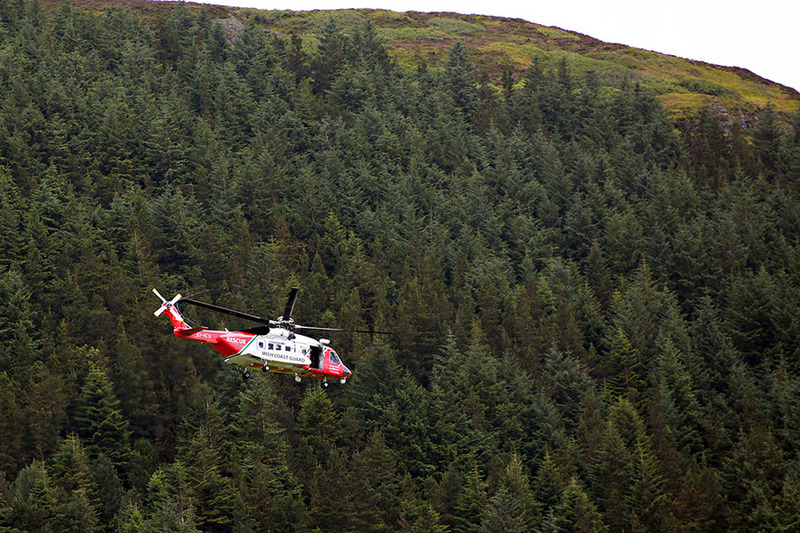 As the market is located in an airport hanger, our neighbours are the heroes of Rescue 118 coast guard helicopter! You'll often see them flying up & down while the market is on! 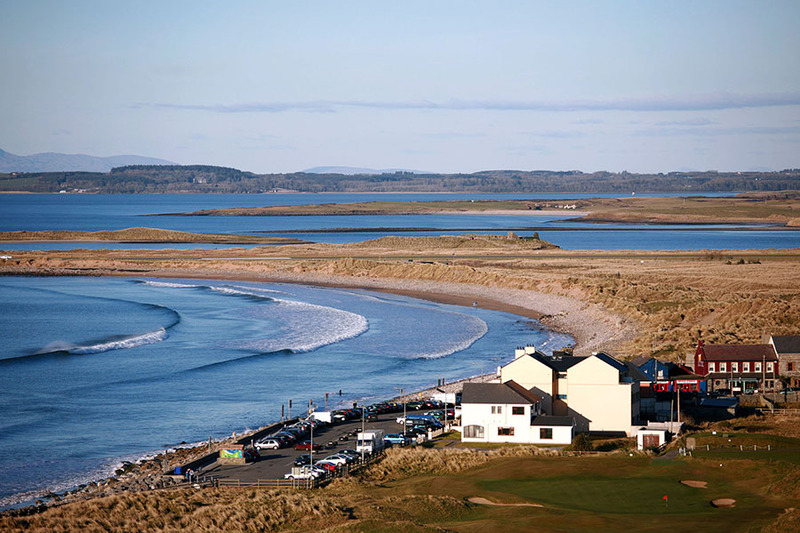 Strandhill is known for many things, Knocknarea, Queen Maeve, and of course surfing! It's one of the best places in Ireland to surf when conditions are right! And if there's no surf, there's plenty of things to do & places to eat while you wait for the right tides or the winds to change! You can find this beautiful aerial view of Strandhill village by hiking up Knocknarea using any of the 3 trails up the mountain! Depending on fitness it's a 20 to 45 minute hike up with stunning views all along the way! As well as the views around Knocknarea, you'll find the ancient tomb of Queen Maeve on top! This is one of the first things my now husband & I did when I first came over to Ireland, and it's something I never get tired off doing!